Scientists gain control of crystallization processes by carefully controlling the prevailing level of supersaturation during the process. When a saturated solution is cooled, the system enters a metastable region where the solution becomes supersaturated, in other words, more of the solute is in solution that the solubility curve predicts. As cooling continues, a certain temperature will be reached where crystal nucleation will occur, the metastable limit. Once the metastable limit is reached and crystallization starts, supersaturation is consumed and eventually the liquid phase concentration will reach equilibrium at the solubility curve. Because supersaturation is the driving force for crystal nucleation and growth and will ultimately dictate the final crystal size distribution, it is critical to understand the concept of supersaturation. For organic crystallization systems, the value of the growth order (g) is typically between 1 and 2 and the value of the nucleation order (b) is typically between 5 and 10. When we plot these equations for a theoretical organic crystallization process the importance of supersaturation becomes clear. At low supersaturation, crystals can grow faster than they nucleate, resulting in a larger crystal size distribution. However, at higher supersaturation, crystal nucleation dominates crystal growth, ultimately resulting in smaller crystals. 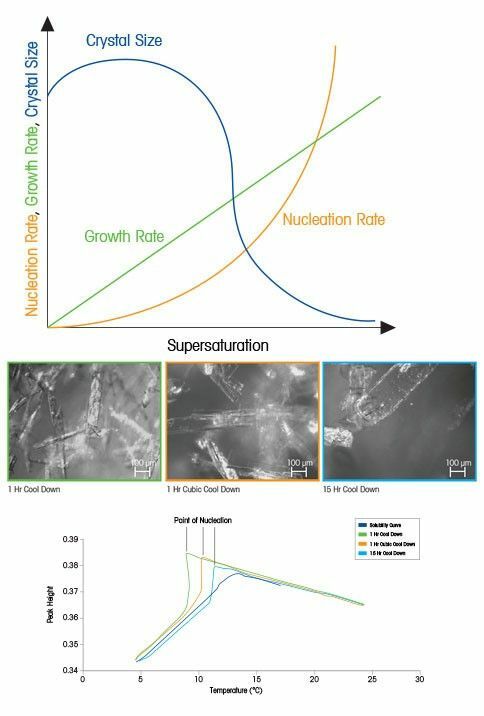 In the figure to the right, relating supersaturation to nucleation, growth, and crystal size clearly illustrate how controlling supersaturation is vitally important when it comes to creating crystals of the desired size and distribution. Modern techniques such as ReactIR, outlined here by Barett et al (Chemical Engineering Research and Design, Volume 88, Issue 8, August 2010, Pages 1108-1119) allow solubility traces to be developed quickly and easily, and the prevailing level of supersaturation to be monitored continuously throughout a crystallization experiment. Faster cooling rates result in nucleation at lower temperatures and the highest level of supersaturation throughout the process. A very slow cool down results in a higher nucleation temperature and low supersaturation throughout the process. A one-hour cubic cool down (slow at first and fast at the end) has a medium level of supersaturation throughout. The influence of varying supersaturation on crystal size and shape distribution can be clearly observed by comparing ParticleView (a probe based real-time microscope) images for each experiment. 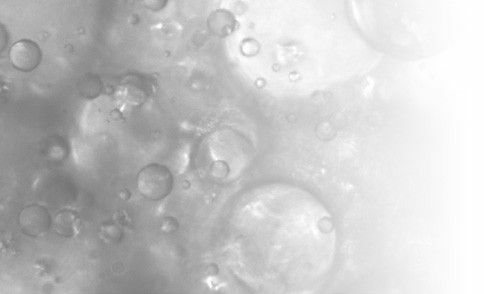 Higher supersaturation results in the smallest crystals – since nucleation will be favored over growth. Using experimental data, much has been accomplished in supersaturation monitoring and the estimate of crystallization kinetics. The approach has been extended to allow model-based control of crystallization processes. Crystallization unit operations offer the unique opportunity to target and control an optimized crystal size and shape distribution. Doing so can dramatically reduce filtration and drying times, avoid storage, transport, and shelf life issues, and ensure a consistent and repeatable process at a lower cost. This poster describes the use of a calibration-free method where the temperature during cooling crystallization is controlled automatically in a water/IPA solvent in order to maintain a constant level of supersaturation. A method is presented which facilitates the calibration free use of in situ ATR-FTIR spectra for the production and control of qualitative supersaturation trajectories. This white paper series covers basic and advanced strategies to optimize crystal size and shape distribution. Solubility curves are commonly used to illustrate the relationship between solubility, temperature, and solvent type. By plotting temperature vs. solubility, scientists can create the framework needed to develop the desired crystallization process. 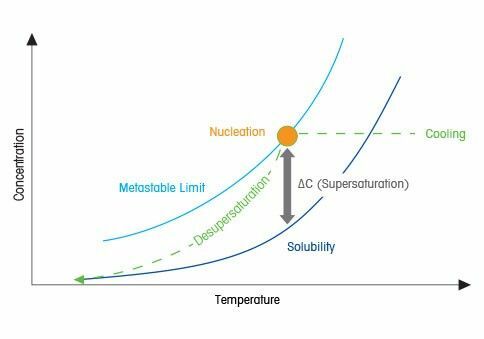 Once an appropriate solvent is chosen, the solubility curve becomes a critical tool for the development of an effective crystallization process. Scientists and engineers gain control of crystallization processes by carefully adjusting the level of supersaturation during the process. Supersaturation is the driving force for crystallization nucleation and growth and will ultimately dictate the final crystal size distribution. In-process probe-based technologies are applied to track particle size and shape changes at full concentration with no dilution or extraction necessary. 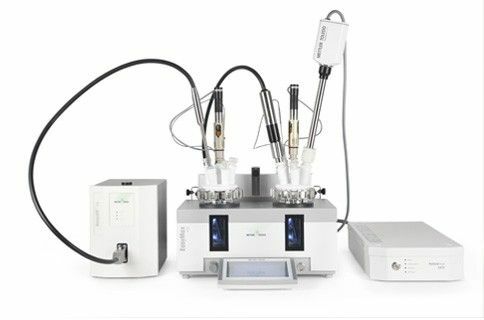 By tracking the rate and degree of change to particles and crystals in real time, the correct process parameters for crystallization performance can be optimized. Seeding is one of the most critical steps in optimizing crystallization behavior. When designing a seeding strategy, parameters such as: seed size, seed loading (mass), and seed addition temperature must be considered. These parameters are generally optimized based on process kinetics and the desired final particle properties, and must remain consistent during scale-up and technology transfer. Milling of dry powders can cause significant yield losses and can generate dust, creating health and safety hazards. In response to this, wet milling produces particles with a specifically designed size distribution. It is now common to employ high shear wet milling to break large primary crystals and agglomerates into fine particles. In an antisolvent crystallization, the solvent addition rate, addition location and mixing impact local supersaturation in a vessel or pipeline. Scientists and engineers modify crystal size and count by adjusting antisolvent addition protocol and the level of supersaturation. Crystallization kinetics are characterized in terms of two dominant processes, nucleation kinetics and growth kinetics, occurring during crystallization from solution. Nucleation kinetics describe the rate of formation of a stable nuclei. Growth kinetics define the rate at which a stable nuclei grows to a macroscopic crystal. Advanced techniques offer temperature control to modify supersaturation and crystal size and shape. Changing the scale or mixing conditions in a crystallizer can directly impact the kinetics of the crystallization process and the final crystal size. Heat and mass transfer effects are important to consider for cooling and antisolvent systems respectively, where temperature or concentration gradients can produce inhomogeneity in the prevailing level of supersaturation. Polymorphism is a common phenomenon with many crystalline solids in the pharmaceutical and fine chemical industry. Scientists deliberately crystallize a desired polymorph to improve isolation properties, help overcome downstream process challenges, increase bioavailability or to prevent patent conflicts. Identifying polymorphic and morphological transformations in-situ and in real time eliminates unexpected process upset, out of specification product and costly reprocessing of material.